Just a couple of moms who get together and share the best deals that we can find. As much as I have loved blogging, it is time to say goodbye. I have decided that I don't have enough time to post daily blogs, but I do want to share some super sites and other blogs that are worth checking daily even every few hours. This is where I got a lot of great deals. Thank you for all those who have stuck with me. Happy couponing! 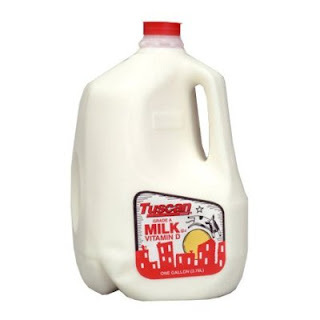 http://www.mommysavesbig.com/ This site has coupons for stores! joanns, michaels, gnc, jc penny's, kohls, etc. I'll post a few more sites also! Make sure you add these to your favorites! This saturday I will be off to a family reunion! Happy 4th of July! Location: Vernon Worthen City Park 300 E. 300 S.
Start your Holiday Weekend off with a home cooked breakfast at Vernon Park from 7:30 to 10:00am. Then spend some quality time beginning at 9:00 am with your kids and grandkids at the park. There will be music, food booths, face painting, a home run derby, watermelon seed spitting and golf chipping contests and so much more to do! Finish off the day by listinening to the musical talent at the Country Showdown at 8:00pm. The spectacular firework display will then begin at approximately 10:00pm. Free Home Depot Workshop Tomorrow July 4th from 9:00 a.m to 12:00 and for ages 5-12. 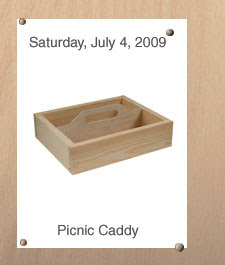 Come build your very own picnic caddy! If you have not gone before, your child will receive a Home Depot Apron and sometimes they give away free kids meals coupons for Del Taco! Pineview Stadium 10 is providing moview at discounted prices. The movies start at 10:00 a.m. The cost is $2.00. Kids under 3 are free. Popcorn and drinks are also discounted. Tomorrow July 3rd is Marley and Me. For more details, call Pineview Stadium. To receive a Die Cast Car by mail, purchase any TWO (2) Reynolds Wrap Foil products (excluding 20, 25 and 30 square foot rolls) in the same checkout transaction between 6/1/09 and 4/30/10. One of our families favorite treats is Dairy Queen Blizzards! Now you can join their fan club and get a coupon for a buy one get one free. Plus you get coupon sent to you on your birthday and other special surprises!!!! 10% Best Buy Coupon Though July-06-Print the whole page and receive a 10% discount on any single item in store in select departments at your local best buy store... Read fine print for details. I love childrens place! Unfortunatly, my girls have outgrown their clothes, but I still like to get my neices birthday gifts there. Here is a 15% off coupon for your next purchase that is valid till July 31st!!! I was able to print 2 more of each of the dairy coupon! Hurry before their all gone!! Go here. 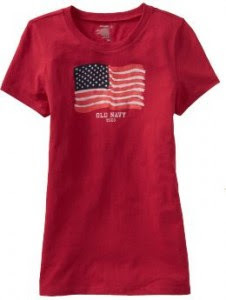 Friday July 3rd, Old Navy will be having their Flag Tees on sale for just $1.00. Pair the sale with a 25% old navy CHARGE CARD or 15% printabale coupon (Get their no sweat style button) to make the deal even better! 20% off your $25.00 purchase - Bath and Body Works Valid through July 5th. I headed to the grocery store at noon today and picked up everything I needed from my PYP list. I scored today!! After combining my coupons with the store add, and starting out with $15.00 in Catalinas I was able to purchase (2) 24 Pks of water, (6) 2 literes of Pepsi, 5 boxes of Caprisuns, 2 bags of lays chips, 6 Digiorno pizzas, 4 tubs of Land O Lakes Butter, 3 Pkgs of Jello (6 in each pkg), 4 Boxes of Bagelfuls, 8 cans of Cream of Mushroom Soup, 4 boxes of Crystal Light On the Go, 3 bags of Birdseye Corn, 10 Pkgs of Albacore Tuna, 1 Jar of Jalapenos and 2 Packs of Gum for $25.52 Out of Pocket. Between In store savings, coupons and catalina deals I saved $151.35. WOW!!! Albertsons Deals July 1 - July 7th.